The petrochemical industry is a hugely vast and varied industry that produces materials for almost all areas of modern society. Natural resources such as petroleum and natural gases undergo several transformations to become compounds such as plastics, synthetic rubber, solvents, fertilisers, pharmaceuticals, additives, explosives and adhesives. With these materials being used as the key building blocks in a wide variety of durable and nondurable consumer goods, petrochemicals play a major role within the manufacturing industry. Although few of us make the connection between consumer goods and petrochemicals, the process of converting petroleum and natural gases into synthetics materials is a very complex one. And as with any complex process comes the increased likelihood of things going wrong. It’s therefore no surprise that production poses a constant challenge to plant engineers and planners, with the potential that business production rates will suffer as a result. Having specialised in the cleaning and maintenance of petrochemical plants for almost twenty years, Primasonics fully understands the importance of optimizing a plant’s performance to reduce downtime. 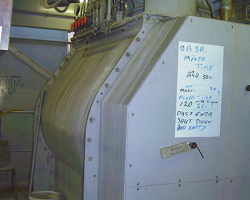 Deposits of compounds such as ash can build up in the air heater section of cracking towers and result in reduced efficiency. However, Acoustic Cleaners can be used very effectively to prevent this material build up. 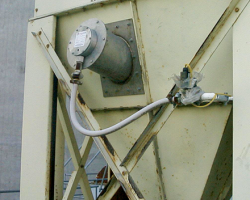 This has led to them now being used in many petrochemical plants around the world to reduce the number of unplanned shutdowns that are otherwise experienced. 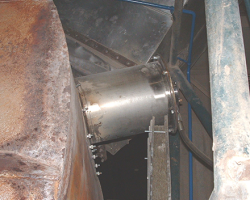 Contaminations, the unintentional mixing of two streams, has long been seen as a serious problem within petrochemical plants, especially within food processing. It can lead to consequences ranging from ruined product to an accident resulting in a fire or explosion. It’s important to always think about how to prevent cross-contamination, and regular acoustic cleaning is one way of doing this. Unplanned downtime at petrochemical plants has been estimated to cost the US economy over $150 billion annually. Our innovative acoustic cleaners are designed to reduce the likelihood of downtime, therefore reducing the likelihood of unwanted expenditure. 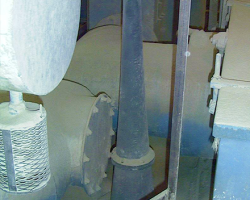 Primasonics® Acoustic Cleaners are widely employed wherever ash, dust and powders are generated, processed, stored or transported. 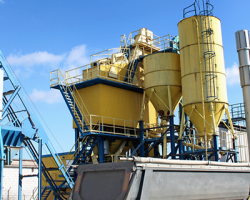 So, in order to achieve high standards of health and safety and environmental performance, a cement plant needs to be cleaned on a regular basis. 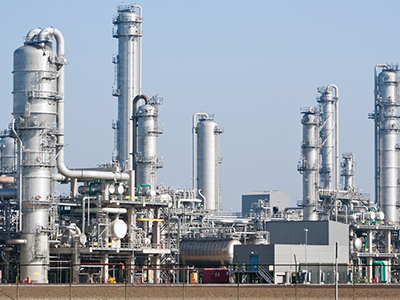 The applications for acoustic cleaners within the petrochemical industry are almost as vast as the industry itself. Primasonics Acoustic Cleaners provide a long-term, preventative solution to material buildup and blockages. Not only will Primasonics Acoustic Cleaners remove existing blockages and areas of compacted material, they will also prevent buildup from developing in the future. Non Invasive - Acoustic Cleaners do not produce high-impact blasts, but are instead designed to reflect sound from solid surfaces - unlike traditional industrial equipment cleaning methods such as industrial vibrators and airblasters. This means that the soundwaves they transmit only penetrate targeted materials, rather than the structure of bulk loading equipment. Acoustic Cleaning technology therefore prevents structural damage caused by intense machinery cleaning methods. Reducing downtime and extending the life of assets - Unlike traditional equipment cleaners, which only deal with localised issues, the frequency of Acoustic Cleaners can be tailored to target larger areas. Additionally, by regularly dislodging all compacted materials, Acoustic Cleaners can successfully prevent surface buildup and subsequently reduce the effects it can have upon production rates. 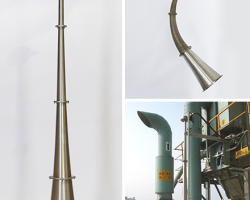 Increased Efficiency - Material buildup restricts the storage capacity of dry bulk loading equipment and in severe cases, causes what is referred to as “funnel flow”. Not only does this mean machinery operates at a reduced rate, but stagnant buildup is effectively wasted material and therefore wasted money. However, by eliminating all forms of surface buildup, Acoustic Cleaners will maintain the mass flow of materials and therefore the maximum working efficiency of your equipment. Health and Safety - Using a remote, modern cleaning system means that we avert the dangers posed by other traditional cleaning methods, such as a technician entering a hazardous environment. This method introduces significant risk from falling material and from the possible presence of gases. Our modern and cutting-edge equipment means that our services are efficient and safe. Our customers save time and money due to our cutting-edge industrial cleaning solutions which have extended the life of their assets, reduced downtime and ensured safety comes first. Simply put, acoustic cleaning is a process in which sound is used to create rapid pressure fluctuations within an industrial appliance. These pressure fluctuations are transmitted into the particulate matter or bonded dry material, causing the solid particles to dislodge from the surface they are bonded to. Once dislodged, the materials fall away due to gravity. The technology can increase the efficiency of petrochemical plants, provide improved thermal conductivity, prevent material blockage and remove particulate build up wherever ash, dust, powders or granular materials are processed, generated, stored or transported. From oil, gas, petrochemical and offshore facilities to food, pharmaceutical and power industries - our acoustic cleaning services provide fast, safe and environmentally friendly solutions to remove contaminants from large industrial infrastructure and processing units.